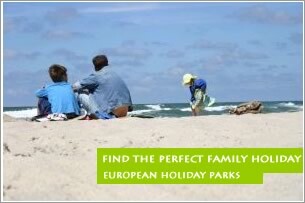 Bookit365.com offers a range of holiday parks and holiday villages throughout Europe at fantastic prices. Holidays are specially selected from the market leading names in European family park holidays including : Siblu, Pontins, P&V Holidays, Butlins, Keycamp and Hoseasons. 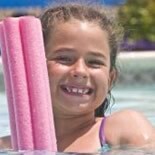 We offer access to hundreds of great family holiday parks located in the United Kingdom, France, Italy, Spain, Portugal and Holland. Simply choose from the drop dow menu below or scroll down this page to find your perfect family holiday! Siblu provides fantastic family holidays at great prices. Siblu operate 26 holiday parcs in France, Spain and Italy. When you choose a Siblu holiday parc you can be sure that each resort will be packed with great facilities and activities for your family .The parcs are run by Haven holidays UK, a leading holiday park operators. Siblu parcs are particularly suitable for those who love family camping holidays. Each parc is packed with outstanding facilities, from luxurious mobile home accommodation to free kids clubs, sports pitches and fantastic restaurants. Pierre & Vacances offers holiday resorts and hotels in great locations. P&V resorts are situated in many of the most attractive tourist regions of France. 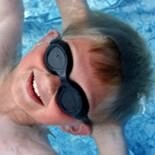 P&V Resorts offer great value European family holidays with a great range of internationally renowned resorts and villages offering a wide range of sports and leisure activities. Pontins is a British holiday company which was founded in 1946. Pontins specialises in half board and self catering holidays holidays with regular entertainment at each resort. The brand currently operates seven popular holiday centres throughout the United Kingdom. Each centre has regular special offers and features entertainment from well known performers. Pontins run centres in Blackpool, Southport, Camber Sands, Hembsby, Brean Sands, Prestatyn Sands and Pakefield Lowestoft. 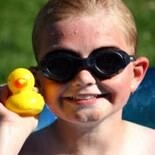 All of our listed family holiday parks offer value and quality from Europes leading holiday park providers.Bookit365.com do not charge you any commission or booking fee to you for our services and reservations for each holiday are made directly with the holiday provider.